ickets are available NOW for our special 10th Anniversary show at the Barbican, London on Tuesday 30th September. 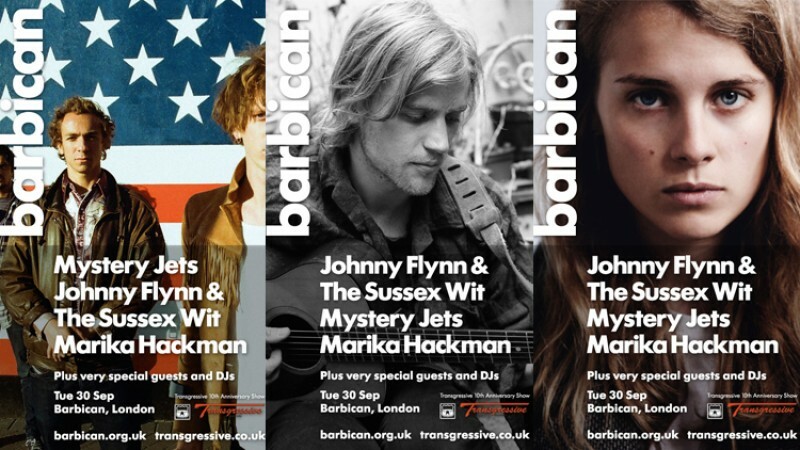 The show is to celebrate the 10th Birthday of Transgressive records and will feature Johnny Flynn & The Sussex Wit, Mystery Jets and Marika Hackman. Huw Stephens of BBC Radio 1 is compering the event. Further names to be announced nearer the event. Book early to avoid disappointment!